Things are going to get LOUD this February half-term when Nicktoons UK & Ireland premieres more brand-new episodes of Nickelodeon's hit animated series The Loud House daily at 4:30pm from Monday 18th February 2019! And if that wasn't awesome enough, Nicktoons UK & Ireland will be hosting the "Loud Your Family" competition this half-term, in which one lucky fan will be able to win a cool picture of their family, just like the Loud House! For a chance to win, upload a photo of your family to nicktoons.co.uk! 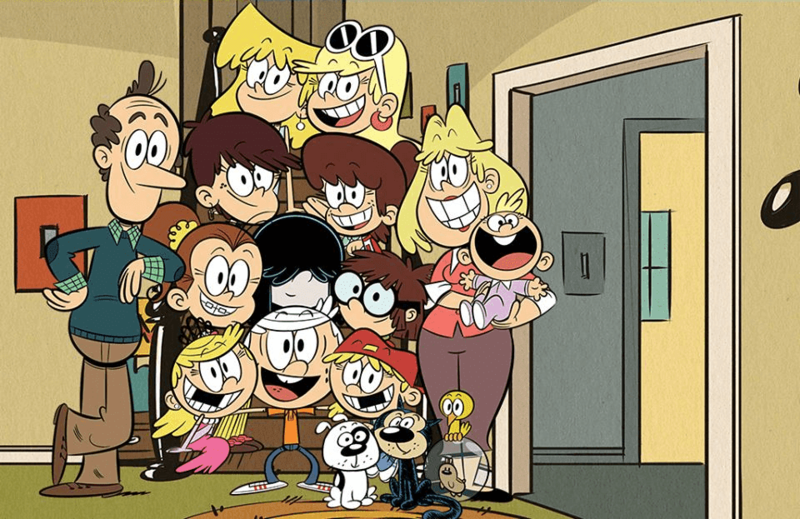 More information about Nickelodeon's "Loud Your Family" will be unveiled during Nicktoons' The Loud House Half-Term Premiere Week! Tuesday 19th February 2019 - House of Lies: After witnessing an excess of lying in the family, Lisa invents lie-detecting glasses to try and curb the fibs. Wednesday 20th February 2019 - Game Boys: Lincoln asks to borrow Clyde's new gaming system, but Clyde struggles to trust that it's safe with him. Thursday 21st February 2019 - Everybody Loves Leni: Torn between her work friends and her school friends, Leni tries to bring everyone together. Friday 22nd February 2019 - Shop Girl: The kids worry that Leni is too weak and try to teach her how to be more aggressive. Want to win tickets to Nickelodeon's 2019 Kids' Choice Awards in L.A.? Find out how HERE! More Nick: Nickelodeon UK Announces SLIMEFEST 2019! Originally published: Sunday, February 10, 2019. Follow NickALive! on Twitter, Tumblr, Reddit, via RSS, on Instagram, and/or Facebook for the latest Nickelodeon UK, Nicktoons UK and The Loud House News and Highlights!